Personalized wedding shower water bottle labels with bride and groom design. 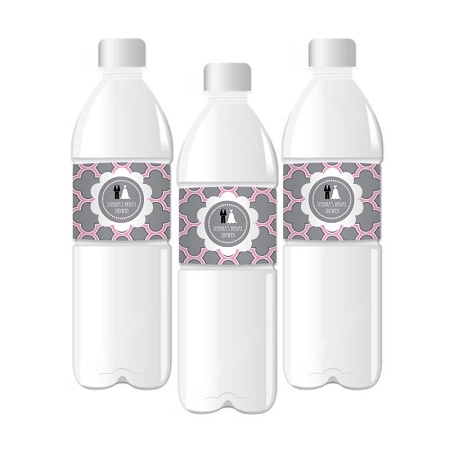 Keep bridal shower guests refreshed with water bottles that match your gray and pink event decor. 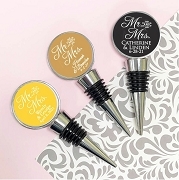 Affix these chic Wedding Shower Personalized Water Bottle Labels to your party beverages for a classy way to accessorize your event. Using labels on chilled bottles? No problem! 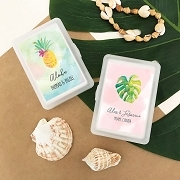 Our water bottle labels are also available in a durable water proof material that is not easy to tear, repel water and can withstand cold temperatures. The extra strong adhesive adheres to metal, plastic, glass and more. Waterproof material will require an additional charge per label.